VOLBEAT: nuevo tema "The Bliss"
Kasper Boye Larsen, que tocaba el bajo durante la reciente gira de la banda por los EE.UU., ha sido nombrado miembro permanente de Volbeat. Kaspar Boye Larsen, who played bass for VOLBEAT on the band's recent U.S. tour, has been named a permanent member of the Danish/American rock 'n' roll outfit. VOLBEAT: nuevo tema "Seal The Deal"
VOLBEAT alcanzan el nº 4 de la lista de ventas "The Billboard 200"
Volbeat consiguen el nº 4 en la lista de ventas "The Billboard 200" en su primera semana, con 51.000 copias vendidas de sus nuevo trabajo "Seal The Deal & Let's Boogie". "Seal The Deal & Let's Boogie", the sixth full-length album from Danish/American rock 'n' rollers VOLBEAT, debuted at No. 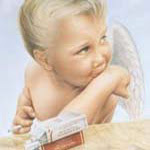 4 on The Billboard 200, having shifted 51,000 equivalent album units in the week ending June 9. VOLBEAT: más puestos en las listas de ventas de "Seal The Deal & Let's Boogie"
Volbeat planean entrar al estudio antes de fin de año y comenzar a grabar su séptimo álbum que sería lanzado en 2019.
hemos estado escribiendo mucho. Así que, sí, estamos planeando entrar al estudio en algún momento a finales de este año". Danish/American rock 'n' rollers VOLBEAT are planning to enter studio before the end of the year to begin recording their seventh album for a tentative 2019 release. The follow-up to "Seal The Deal & Let's Boogie" will mark the band's first full-length effort to feature bassist Kaspar Boye Larsen, who joined VOLBEAT too late to appear on the last CD. During a brand new interview with "Belfast Metal", VOLBEAT guitarist Rob Caggiano stated about the group's plans for the next disc (hear audio below): "We've been working, actually, on some ideas. We've been writing a bunch, actually. So, yeah, we're planning on going into the studio at some point at the end of this year." 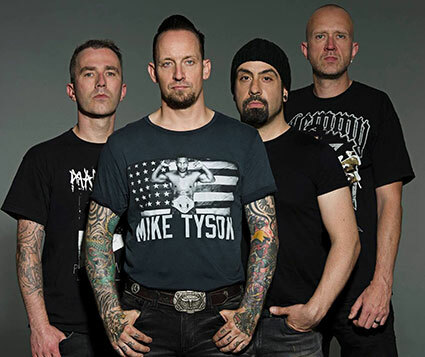 VOLBEAT: nuevo disco en directo "Let’s Boogie! Live from Telia Parken"
El nuevo disco en directo de Volbeat, "Let’s Boogie! Live from Telia Parken", saldrá a la venta el 14 de diciembre a través de Republic Records. "El 26 de agosto de 2017, Volbeat se convirtió en la primera banda danesa en llenar en su casa el "Telia Parken" de Dinamarca, estableciendo el récord del espectáculo más grande de un artista nacional en Dinamarca, con más de 48,250 personas." 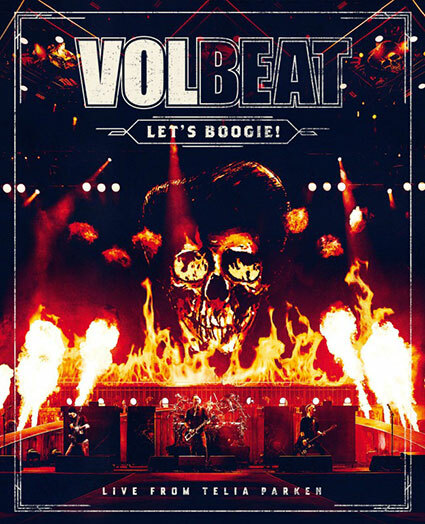 VOLBEAT: video adelanto de "Let’s Boogie! Live from Telia Parken"